Do you remember first learning to drive? Mirror… (pause while thinking and fumbling goes on)… Signal…. (another stupidly long pause, co-ordination of hands and feet)… maneuver … (the slow pulling away from a junction with fear and trepidation)! Well teaching any exercise is a bit like that at first. What’s the move, how do we get the person / group smoothly into the start place.. how do I get my words out quickly enough as they execute the move? At least with Pilates and yoga we don’t have to fit a move to a beat and a 16 bar phrase! How do I communicate the move correctly and feedback so they are effective? How on earth do I help them achieve the best technique possible? How do I enable them to FEEL what Pilates moves are doing and connect at a deeper level, in understanding and movement? How do I create an experience they will want to return to time and time again? And by the way, it’s OK to be at base camp! We all start there. But if you want to create a lasting business, happy clients and phenomenal result… then the whole package of skills is what I’d encourage you to aim for. Having taught for 28 years (exercise) and Pilates / yoga for 18 I still have a following of the same clients who don’t want me to stop and indeed a waiting list of referrals I can’t fit in. Without wanting to sound arrogant (there are things I also need to improve, like my ability to stick to time!) it is this fairy dust gift I’d like to sprinkle over your business to help you too build a sustainable and expansive income. I’ll explore a couple of other magical ingredients in another article… but the aspects of voice, expression, tone, volume and language are all vital in creating magical classes and clients who leave fulfilled. So let’s start with Q 1 above. Step 1. How do I communicate the move correctly and feedback so they are effective? Step one is obvious….. body placement, demonstration, getting them to put one hand here and a leg there. Or is it? I teach using perceptual positions. (We like to have an out of body experience early on in class!). Their skill of self observation is vital to safe practice later and also home practice. So what do I mean by that? First of all, use your language to encourage them to be ‘IN’ their body. To feel the pressure under the side of their hip, arm, leg etc. To notice areas where there is less pressure / contact. To imagine the mat as memory foam.. and if they were to levitate right now… would the indentation left behind be even/level? Is the pressure even (under their pelvis, for example)? A useful phrase to use is ‘So go inside your body now… and notice what it feels like… notice the areas of contact on the floor / mat, notice the amount of pressure under those areas….‘ This instruction (in hypnotherapy terms it’s called an embedded command) to ‘Go inside now’ forms a meditative state. Observation of the minutiae has the added side benefit of slowing the jittery, distracted mind. Next, I ask them to imagine they are me. This is the second ‘perceptual position’. They are literally getting a different perception of themselves. I walk around and near them. And I ask… ‘so through my eyes what do you see? What feedback would you give yourself? How is your head placement in relation to your shoulder girdle’ etc This self feedback method promotes their own awareness and means you have less to correct. Never do for a student what a student can do for themselves. It’s is a great wake up call. The final perceptual position I encourage them to adopt is the ‘fly on the wall’ or ‘third position’. It might go something like this….’So as you go up onto the ceiling, directly above you, and look down at yourself lying on your side…. does your body have the same fabulous posture and shape you would see in standing? Can you see the shape of your spine, flowing and arching….. your head directly above your shoulder, hip, knee and ankle?‘. Then I ask them to move to a different perceptual position… for example, ‘As you go behind yourself now.. level with the skirting boards, and look across at the back of your body… are the widest points of your body the ones in contact with the floor..?. your shoulders and hips are in contact with the mat.. and can you see how your waistline tapers, like it would in standing… so your spin isn’t slumped onto the mat but has a little space/less pressure under your waist and ribs where the mice can run under?‘ And of course as I’m saying this I’m walking about and showing them the standing posture and the narrower waist so they can translate that shape to the floor and into their own bodies. As this method becomes established… your shorthand can later become.. ‘Go behind your body now and look to see the shape you are making… can the mice play?‘ Now I just use the word ‘mice’ and they know what I mean! Now then….you have a choice. You can either explain to your clients what you mean by perceptual positions… after all it is a skill that is helpful in life, relationships and business (to be able to shift easily to someone else’s view of you) or you can just direct them to do it without saying what you are doing. I like to do the former…. because I like to add value to their life. Your call. Step 2. How to help them achieve the best technique? You’d think the answer to this question would lie in explaining the moves, … the movement and the execution, right? No. I think someone’s technical ability stems first from their awareness (above), then from you showing them how they are moving… (so they can see themselves by watching you mimic them) but most importantly by giving them a feeling of choice. We all know form / technique is usually lost because someone moves on to a harder level when they aren’t ready. So your language needs to deliver a fine balance between encouraging them to try the next level, get the feedback for themselves, and then CHOOSE the level they can FEEL is right for them. I think of it like horse riding. Forgive the analogy.. but my teacher used to say ‘give the horse it’s head’. My men’s class in particular like to be given a longer rein (which I allow at times) and then draw attention to their technique and they realize they need to step back a little. I also use the phrase ‘Carry on with this level of move if you can really feel you are keeping the technique / engaging your core / gluts (whatever it is)…. you’re in charge.’ I like to breed responsibility. In essence my class members shouldn’t need me. I am facilitating a skill for life, not a dependency on me. That way, they come because of the value add, the fun, the variety… not because they feel like amateurs who need correcting. Step 3. How do I enable them to FEEL what Pilates moves are doing and connect at a deeper level? Most teacher training courses cover this skill well. The power of visualization is amazing in terms of translating movement into feeling in the body. So of course we use visual language. But not everyone is visual as their primary representation system. Some people talk more in terms of feeling.. some in terms of sound, or even taste and smell. So how might this translate to class? Now this might seem odd… but we can also use sounds for our muscles and feeling descriptions for our muscles…. For example ‘let your legs talk to you… hear them squeal as they engage and feel powerful‘ I use the word ‘whoosh’ lots and ‘grrrr’. Or in a lying twist the sound ’ahhh’ let the body ‘sigh’ as you release into the position. How we say this is as important what we say. You can’t say ‘grrr in a soft voice. And you can’t say ‘ahhh’ aggressively and expect them to relax! Moves can even be described as delicious or tasty…. and a ‘feeling of power’ or ‘feel free’ in your spine are good descriptions that tap into different peoples thought processes. So change the volume and musicality of your voice and listen to your own body as you practice. If your body were to talk to you as you did the teaser, what would it say. If it squeals in delight ‘whooohoooo!’ then use those sounds to teach your clients! Like reading a children’s book you can create an atmosphere and use expression. Your clients will enter that world, use their imagination, and feel things differently. If nothing else it will be fun. Step 4. How do I create an experience they will want to return to time and time again? It’s not about you. Never whinge about life, stress, illness or what you’ve been dealing with that day / week. They aren’t there for that. Keep your language ‘clean’, outcome focussed… ask q’s like ‘what mood are you in?’ ‘What would you like to get out of class today?’ ‘How would you like to feel when you leave?’ ‘What does your body need today?’ These q’s get them into outcome thinking and into their bodies, not heads. You can then match your teaching style to their needs. So I might say….’Ohhh OK.. so you need me to give you a bit of a kick/boost today?’ or ‘oh ok.. so you need to take time and have a few minutes of calm along the way?’ or ’ohhhh, so you need to breathe then lol!’. My role is then to facilitate them…. by not talking about the news, the weather or the things that bring them crashing back into life / stress or the world ‘out there’. Keep your clients fully present by being fully present yourself. The world out there’ doesn’t exist for the duration of the class! 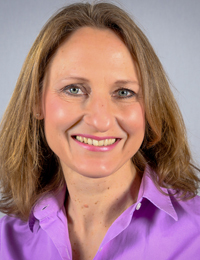 Use eye contact to give feedback so class members don’t feel singled out but do feel noticed. People like to feel it’s a personal service and want to know if they are doing it right. How about doing a tricky move.. and asking them to give themselves a score out of 10 afterwards. Firstly for technique… then for effort. My standing joke is to never give a 10 out of 10. To do that they all need to smile whilst doing the move! Group responsibility for fun… and it’s a bit of a joke that ‘perfection’ is when we are having fun in life. Be in rapport. Match and mirror them. Tell them how good they are .. be proud of their efforts. On a dark cold night tell them they are doing the right things to invest in themselves. Say that you hope it was worth the effort… and to know they will sleep / feel better for a good while now. I describe Pilates as their ‘physical pension’ plan. It gives them the sense that they need to keep doing it well into old age and that it is a vital part of their future. I tell them my holiday dates and joke that they should be planning their holidays around Pilates so they don’t miss any. Again, it’s an unconscious way of saying ‘you need this in your life’. If they are going on holiday, encourage them to go to different classes whilst away. This shows passion in the movement, regardless of the teacher. It shows commitment to the outcome… again, not dependency on you. Intend that they leave each class nourished, nurtured and refreshed. Tell them this is your wish. Tell them what has been happening in their body. They have pummelled every organ, moved joints in ALL directions, stimulated lymph drainage, circulation and digestion. Suggest they drink water and flush out all the wonderful toxins they have shifted with their breath and movement. They will feel cared about and like they want to adopt a healthy life to compliment their efforts. It’s not about being an expert. It’s about pointing out the obvious and encouraging them to reap the wider benefits. Teaching is so much about communication. Yes Pilates is a set of moves…. but it’s far more than mechanical. For someone to develop, grow and learn about their body they need to connect with it, observe it, feel it. Our language, tone of voice, mindset and values will create a place they want to be around. You know it in your body at a visceral level. Your role is to give that ‘knowledge’ a voice and share it with passion. Speak about your ‘truth’ your experiences… and it will soon leak out of you in a compelling way. I hope this has made conscious some of the unconscious skills you will already been using and give you the chance to integrate them into your teaching style for successful business growth and happy customers. Thank you Lindsey for your “Pearl of Wisdom”! I will use these techniques and am grateful you’ve shared! This is one of the best articles I have ever read. 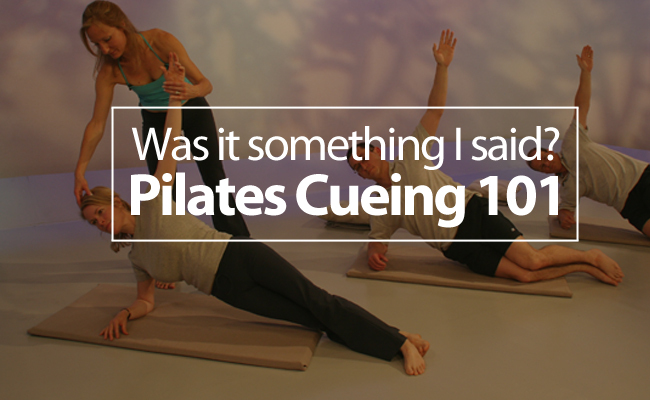 I try to find new and innovative cues to use with my clients! Thank you! 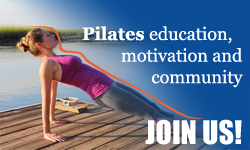 I have been teaching Pilates for 17 years but I learned a lot from this article – thank you for helping become an even better communicator! Thank you for this article. I was happy to discover that some of these things I do intuitively (by intuitively I realized my mentors mentored me well) and other things I am inspired to work toward. Thanks for the wonderful insight! I can’t wait to try your suggestions out. I takes a great person to share wonderful tips and tricks to others with similar professions.